On Friday February 15th, help the CCMA and Future Cannabis Project bring the cannabis community together for a fundraiser to benefit victims of the Woolsey Fire in Malibu. Daytime activities include conference sessions and yoga classes. The evening kicks off with a four course dinner prepared by a team of chefs followed by a party in a beautiful venue in downtown Los Angeles. Tax deductible proceeds will go directly to the Malibu Foundation, a non-profit working to assist in recovery for victims of the Woolsey Fire. 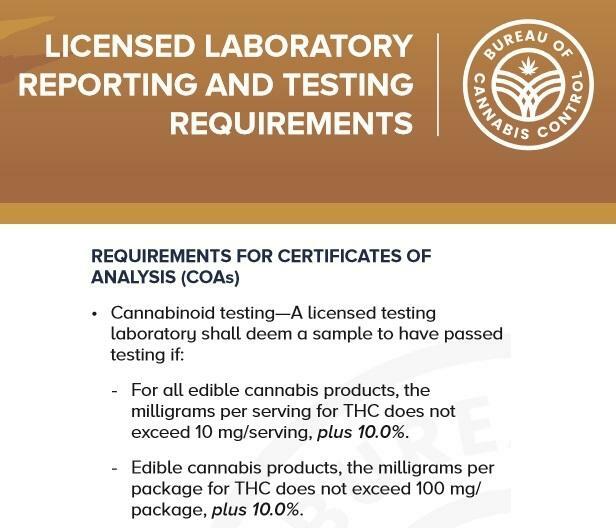 California Cannabis Portal (February 5, 2019) The California Bureau of Cannabis Control has released a fact sheet regarding licensed laboratory reporting and testing requirements in an effort to provide education for industry stakeholders, licensees, and the general public on all things related to cannabis and commercial cannabis activity. Benzinga (February 5, 2019) The Farm Bill could well be one of the most significant pieces of legislation to come out of US President Trump’s administration. For the first time, it removes all cannabis fibre products, like hemp, with a tetrahydrocannabinol (THC) content of less than 0.3% from the Controlled Substances Act. This means that it is now legal to manufacture, distribute and sell hemp-derived CBD products on a federal level. 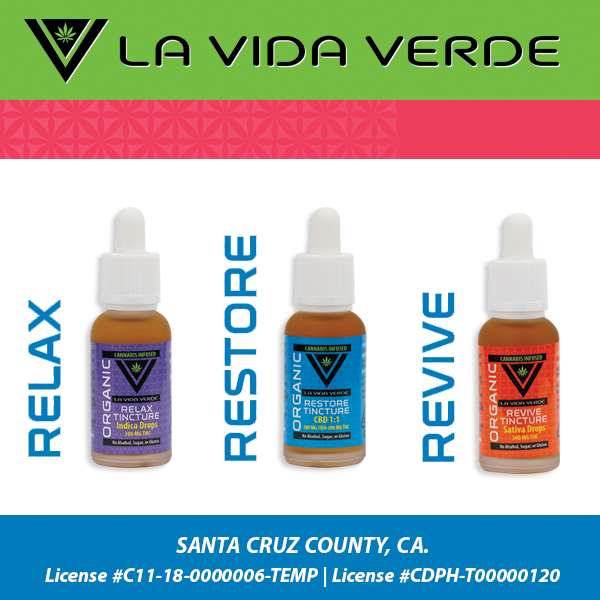 CBD is widely used in pain and stress relief and was recently permitted for use in sports by the World Anti-Doping Agency. The New York Times (February 5, 2019) For months, the top-selling item at Fat Cat Kitchen was a cookie packed with chocolate chunks, dusted with salt flakes and infused with the stylish cannabis derivative cannabidiol, or CBD. New York City health inspectors only began to police CBD-infused products in January, officials said. So far, the health department has asked five restaurants to stop selling food with CBD. Los Angeles Times (February 5, 2019) As California has rebounded from the Great Recession, the Imperial Valley has largely defied attempts to expand its economy beyond seasonal farming and government work, and the county continues to suffer the highest unemployment rates in the state. Among the crop rows at Jack Vessey’s Holtville farm, workers from Mexico harvested bok choy and packaged the vegetables into plastic crates as he greeted his employees. Industrial hemp, which could be grown twice a year and was approved for cultivation by the federal government in 2018, is a primary candidate. Mojave Desert News (February 5, 2019) The State Water Resources Control Board (State Water Board) fine-tuned its pioneering cannabis cultivation policy Tuesday to clarify implementation issues while ensuring growers continue to be environmentally responsible in an industry that has rapidly expanded with urban and rural grow sites throughout much of California. Since voters approved Prop. 64 in November of 2016, the State Water Board anticipated the rapid growth of the recreational cannabis market and made good on its commitment to protect California’s waters from cannabis-related discharges, establish safeguards for riparian areas and wetlands, and protect stream flows. The Guardian (February 5, 2019) The American Society for the Prevention of Cruelty to Animals says calls about pets getting high from accidentally eating either edible weed products or the cannabis plant itself have risen 765% over the past decade. Dogs have far higher sensitivity to THC, the psychoactive component in marijuana, than humans or other animals. The strength of the THC in some of these products can cause dogs a great level of discomfort and panic. Incontinence, ataxia and overreaction to sound and other stimulus is common, while in more severe cases a lowered heart rate can potentially prove fatal. The Verge (February 5, 2019) Traffic deaths rose temporarily in three states that approved recreational marijuana, according to a new study. This research is the latest attempt to untangle the question of whether legal marijuana makes the roads more dangerous. Though the public is increasingly accepting of cannabis, experts worry about negative public health effects, given a growing body of research that says marijuana impairs driving abilities and the fact that there’s no accurate way to measure how impaired someone is from cannabis. The Hill (February 5, 2019) A significant amount of data has been generated in recent years showing that cannabis access is associated with reduced levels of opioid use and abuse. But emerging data also indicates that many patients similarly substitute marijuana for a variety of other substances, including alcohol, tobacco and benzodiazepines. Investigators reported that nearly 70 percent of respondents said that they substituted cannabis for prescription medications, primarily opioids. Forty-five percent of those surveyed acknowledged substituting cannabis for alcohol and 31 percent of respondents said that they used marijuana in place of tobacco. Cannabis Business Times (February 4, 2019) In an unreleased World Health Organization (WHO) internal letter, the global organization is reportedly poised to recommend rescheduling cannabis for the purposes of international drug treaties and trade. The move will require a vote from United Nations member countries. If approved, the legal status of cannabis in the U.S. will not be affected. The long-term impact on worldwide cannabis reform, however, could be quite significant. Shepard Express (February 5, 2019) Full legalization, unlike what some opponents of it may fear, does not mean a lawless, free-for-all anarchy. Michigan favors a private, discreet use of marijuana, allowing individuals to own 10 ounces at home but only 2.5 ounces in public. It is now legal for individuals to grow up to 12 marijuana plants at home, as long as it remains within a private residence. There are still penalties for breaking the law, however. If you own or grow more than the allowed amount of cannabis, you may receive a fine up to $500; but no penalty includes incarceration. Civilized (February 5, 2019) Illinois bishops say their commitment “to the common good” means they must “advise against legalization” of marijuana, which they say will result in an orphan epidemic. The leaders of the six Catholic dioceses in Illinois have come together to urge lawmakers not to legalize recreational cannabis in the Prairie State. In a statement released yesterday, the bishops said cannabis legalization would leave many children without parents. But the state’s top lawmaker hasn’t slowed down a bit in his push to legalize recreational cannabis in Illinois. Governor JB Pritzker (D) has been a very vocal advocate for introducing a regulated cannabis market and has made legalization a central part of his platform in the 2018 election.